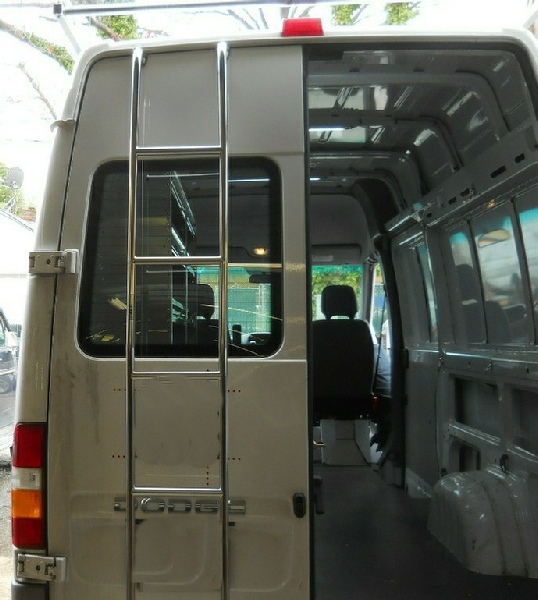 What is the height and length of your sprinter ? Got Roof Rails? In order to install ANY rack on you Sprinter, you'll need a roof-rail kit . 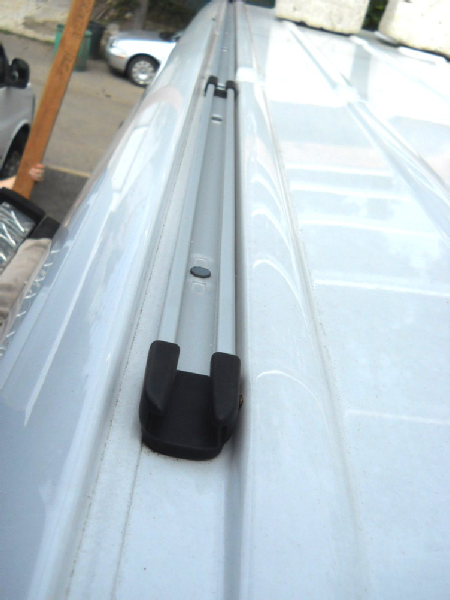 We carry factory original Mercedes Benz roof rail kits because they are far superior to any aftermarket rails available, and they're reasonably priced. 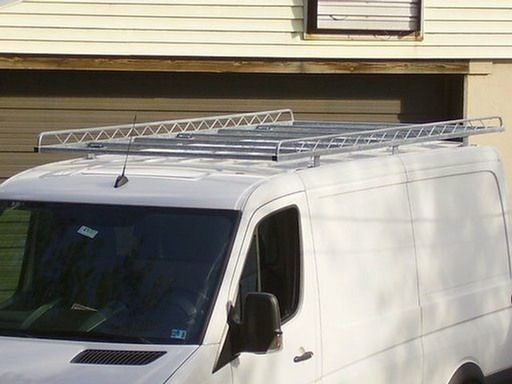 Plus, we give you a helpful installation tool, free. 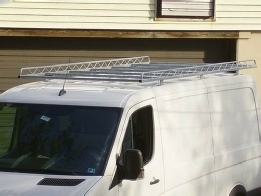 Cargo carrier rack for 2002-2006 Sprinter high roof. 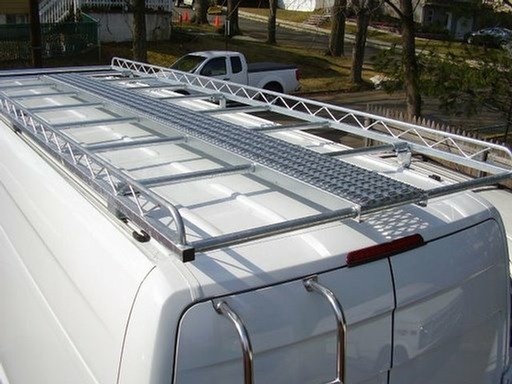 The specially designed 6-leg kit mounts to the rain gutter with no drilling. 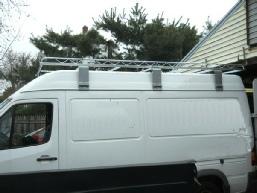 Here's a couple of views of the Cargo Carrier roof rack. It comes in 12 ft & 14 ft lengths for the 144" and 170" Sprinters. We offer them to fit the low top or high top. 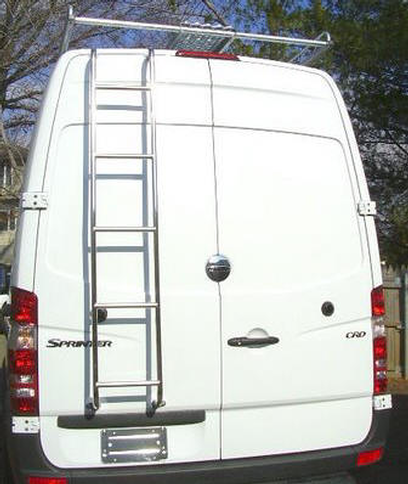 Our racks have 3 support posts on each side for optimum weight distribution, and the rear of the rack extends slightly off the back of the Sprinter's roof so your ladders will never make contact with the vehicle's body.